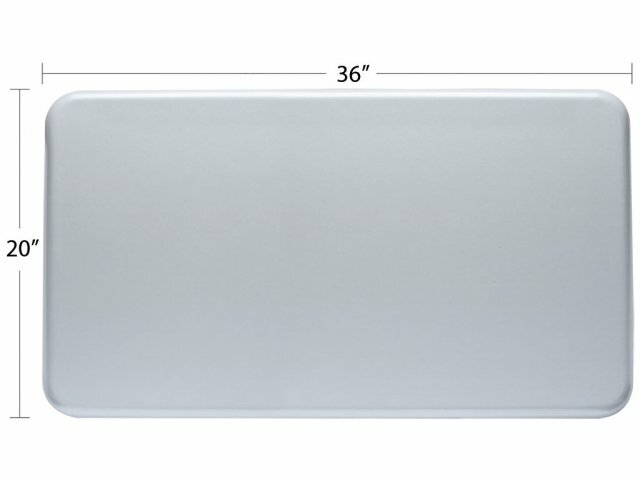 Shown with hard-plastic top. This model features a laminate top. Our wheelchair accessible student desks will provide all of your students with a fitting place to sit and learn. 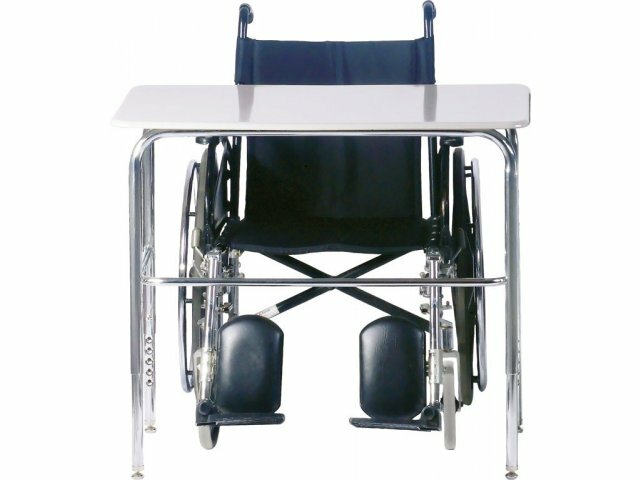 The tubular steel frame of these ADA Compliant Student Desks grants exceptional strength, with U-braces that are double welded to each leg. 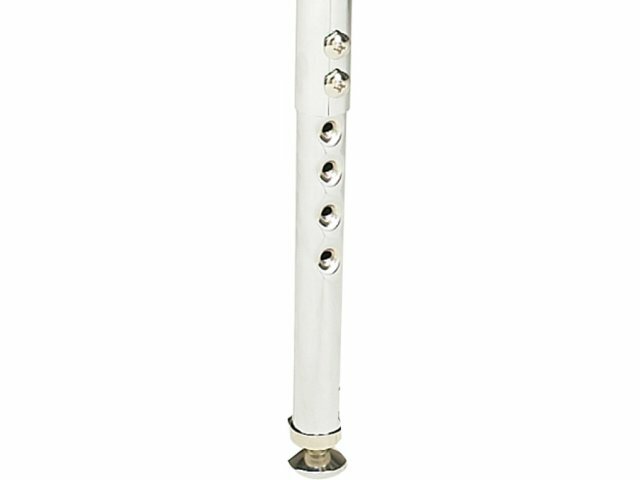 The legs are also height-adjustable to comfortably accommodate special-needs students of all ages. With rounded desktop edges, there are no sharp corners to dodge when pulling a chair or wheelchair up to this school desk. 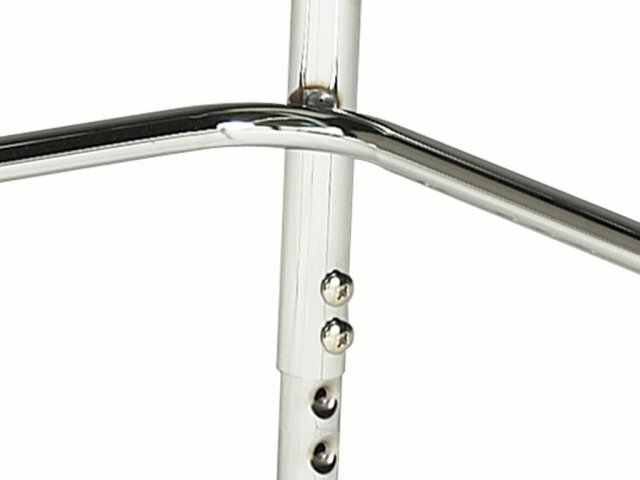 The chrome finish on the legs and laminate desktop surface are easy to maintain, for years of attractive use. 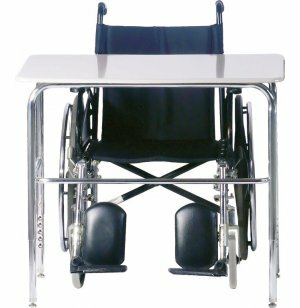 Versatile: Height-adjustable legs (26"-34"H) to provide comfortable use with different height wheelchairs and in any grade classroom. 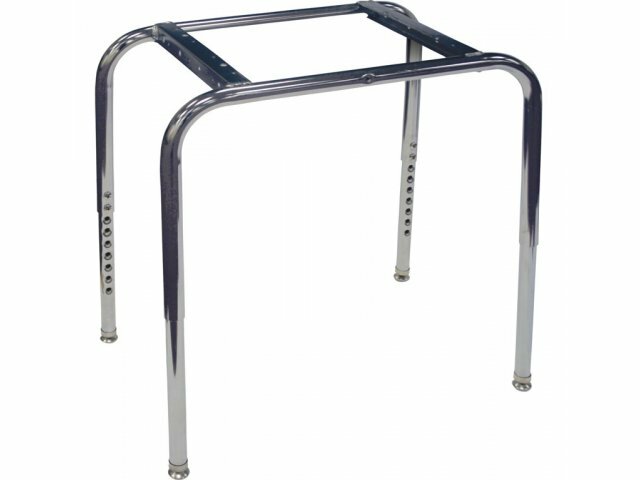 Desk clearance is 32"W x 32 1/4"H.
Exceptional Strength: U-braces are double welded to each leg of the 18-gauge tubular steel frame. Easy Maintenance: With a Laminate desktop and legs in a chrome finish, this desk will look new for years.